Hailing from Victoria, B.C., 20-year-old Sam Weber has all the markings of a prodigy. At just 17, Weber was awarded a scholarship to the Berklee College of Music. The school later gave Weber another scholarship for full-time studies, but he chose to come home to Canada instead. At 19, Weber was one of the youngest people to ever get a major feature in Guitar Player magazine. This musical genius hasn’t just been raking in accolades and awards. Weber also toured with Jets Overhead, playing guitar for them while they stopped by numerous festivals. He also co-produced Chris Ho’s City of Dust. After that, he decided it was time for his own full-length debut, Shadows in the Road. It’s easy to see how Weber fit in with Jets Overhead. “Right-Hearted” opens slowly with a high-note tune before a bouncy guitar riff jolts you into the song. 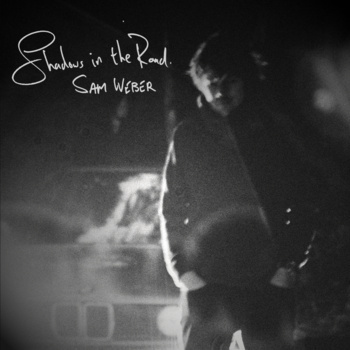 Weber’s vocals and instrumentation toe a line between indie rock and country rhythms. “Something to Say” takes it slow, as Weber masterfully plucks away at the strings. The first notes of “The Nerves” follow suit and tone with “Something to Say”. The slight effect on the first few vocals add to the sense of Weber’s journeying—a trip that picks up pace, energy, and meaning as the song progresses. “August” returns to the faint hints of country ballads heard in “Right-Hearted,” this time feeling influenced by folk music as much as indie and country. At the last turn, the song becomes edgier and packed with emotion. “Don’t Hurt” marks a shift as Weber goes into a straight-up ballad. “Rolling (reprised)” strips the song down to Weber’s voice and a piano—really showing off Weber’s voice and range. Things end with “Love in the Age of Lust,” a chipper piano melody that moves out of “Rolling (reprised)” and ends the album on an uplifting nostalgic note. That Weber had the success he did at 17 and 19 but waited until now to release his first full-length seems like a strange decision—except the wait has clearly paid off for him. Even as the album moves between genres and styles, Weber’s voice and vision unifies everything. There’s scarce a note out of place, and Weber increases satisfaction by letting his voice shine more and more in each song. It’s a rare moment when the wait truly is worth it.